Making roti, a traditional staple food for millions of people worldwide, is equal parts art and science. To achieve the unleavened Indian bread’s signature look, feel and taste, you need the right mix of ingredients (flour, water and oil), the perfect kneading and flattening method, and on-point heat and cook times. Or, you can just have a robot do it. 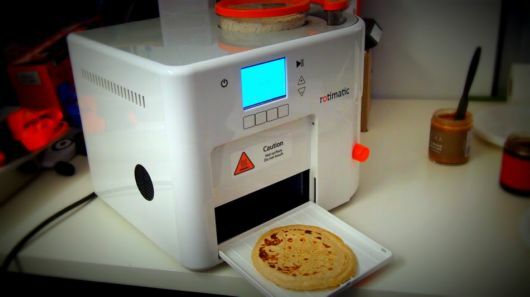 Rotimatic is the world’s first fully automated robot roti-maker. At 39 pounds, the 40 cm x 40 cm x 40 cm device looks like an oversized bread maker, but it’s actually a fascinating piece of engineering that combines 10 motors, 15 sensors and 300 parts to spit out baked rotis at a pace of about one per minute. A PRODUCT OF ZIMPLISTIC, A MOUNTAIN VIEW, CALIFORNIA-BASED COMPANY OF 20 PEOPLE, ROTIMATIC WAS DEVELOPED OVER SIX YEARS BY CO-FOUNDERS PRANOTI NAGARKAR AND RISHI ISRANI. 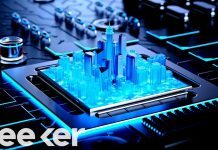 NAGARKAR HANDLED THE ENGINEERING, AND ISRANI WAS LARGELY RESPONSIBLE FOR THE SOFTWARE SIDE (THERE’S NO OPERATING SYSTEM; IT RUNS “BARE METAL”). Nagarkar said she was inspired to create Rotimatic after growing tired of trying to perfect her own roti-making skills. Depending on how good you are, a batch of five take 30 to 40 minutes. “I used to take probably longer and that’s when I got fed up," she told Mashable. Until now, roti-making machines have either been tiny manual products or massive machines that require significant human interaction. Rotimatic, which I saw in action at Mashable’s headquarters, really only needs a supply of ingredients to work. There are three containers, which seal much like Tupperware: one for the dry-based ingredient (typically flour), another for water and the smallest for oil. The dry container can hold different kinds of dry baking ingredients, but nothing wet (no pancake mix!). The smallest container can hold virtually any kind of oil you choose, while the water container can accept other flavoring ingredients such as salt, sugar and cinnamon (the only requirement is that the ingredient dissolves in water). 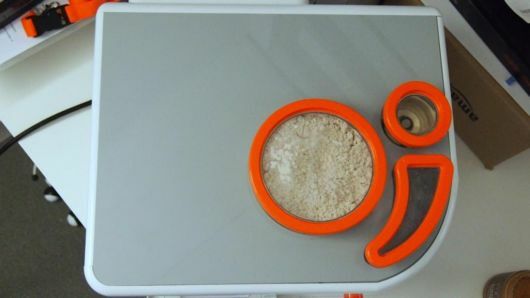 All three containers slide into holes on top of the device; they all have an opening in the bottom to release each ingredient. It takes just three ingredient containers (and a robot underneath) to make tasty rotis. The device is easy to use, and plugs into a standard wall outlet. 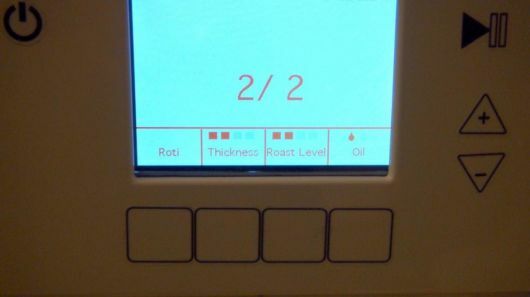 Once the ingredient containers are in place, and Rotimatic has heated to nearly 500 degrees Fahrenheit (which takes about 5 minutes), select the thickness, crispness and oil content you want on a small LCD screen that has four unmarked buttons below it; then, hit start, and the robot does the rest. Rotimatic mixes the ingredients in an enclosed but see-through space, making a single ball of dough that will be flattened into one roti. This is notable since, as Nagarkar pointed out, most people making rotis at home will make a large batch of dough from which they’ll pull out and roll smaller balls. Rotimatic actually uses a patented process to build one perfect ball at a time. That process is also what allows Rotimatic to be much smaller than any other automated roti maker. While the robot is making the ball, its sensors are hard at work to ensure it’s the right consistency. The first roti of a batch will usually take a bit longer because Rotimatic is actually calibrating. When the robot is happy with the dough’s consistency, it will repeat the process for the next ball, quickly achieving its one-roti-per-minute benchmark. Thicker rotis can take a little longer to cook. Once the rolling is done, Rotimatic pushes the ball into a chamber where it is flattened to a perfect 1.5-mm thick disc. A collection of position sensors measure the disc during compression to ensure that no area is thicker or thinner than any other. Finally, the disc slips between two heated elements which, guided by more sensors, rapidly cook the roti until it puffs up like a pastry. As soon as it’s done, the roti slides out, ready to eat. The final product is, as advertised, a perfectly shaped and cooked roti that looks and tastes like it was made by expert hands. Cleanup is fairly simple. The kneader comes out, and can be rinsed off or put in your dishwasher, as can the plate where Rotimatic rolls the dough balls. I was able to take out each component quite easily, and only struggled a little to get the mixing component back in. Rotimatic costs a pretty pricey $599 for a single-purpose robot. Even if you do want your robot roti maker now, however, get ready to wait. When Zimplistic first unveiled its YouTube product demo, the video went viral, and amassed 2.5 million views. That flood of interest converted into $4.5 million in pre-sales as soon as Rotimatic started collecting orders on its site. Now, the company is “sold out.” Even the initial run of Rotimatics won’t arrive in consumers’ hands until early 2015. Nagarkar said that while I saw the near-final product, Zimplistic has no intention of selling prototypes. Rotimatic has already advanced to the manufacturing stage, and is working on perfecting its assembly line. It is also awaiting U.S. certification (something all appliances in the country must get). 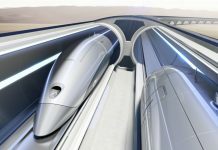 This kind of preparation and the level of interest Rotimatic’s developers have seen should help them achieve economies of scale, and in the future, lower the price of the product. Some of that interest, by the way, has come from potential competitors. In addition to queries from customers looking to buy the product and retailers who wanted it on their shelves, some were from appliance companies. “There is not a single appliance company that did not write to sell the product; we did not reply because we are in no mood to sell,” Israni said. For those turned off by the price, Israni noted that each Rotimatic roti costs roughly five cents to make. A store-bought roti might, on the other hand, run you 40 to 50 cents. Israni thinks Rotimatic could pay for itself in a year. Of course, you do have to eat a lot of rotis. There’s also the obvious health benefit of an all-natural roti (a single roti could be as little as 106 calories) — a key component of Rotimatic. “Health is made in the kitchen,” said Israni, who told me that Zimplistic’s future products will be in a similar vein: intelligent kitchen appliances that promote healthy eating through simplicity and automation. I asked Israni and Nagarkar how people who’ve been making rotis for a lifetime felt about Rotimatic. “When I first showed it to my grandmother,” Nagarkar said, “she was like ‘wow.’” Israni joked that some in India were so excited, they suggested Zimplistic get the Nobel prize.